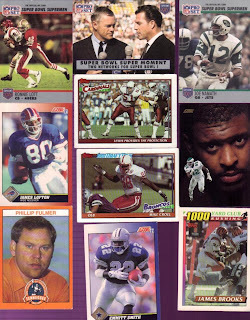 As I mentioned in me previous post, in addition to baseball cards, my aunt also threw in a bunch of football cards. I've got some giveaway filler for sure with these. 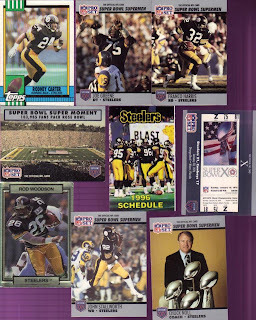 Most of them are 1991 ProSet, but feature legends of the Steel City. 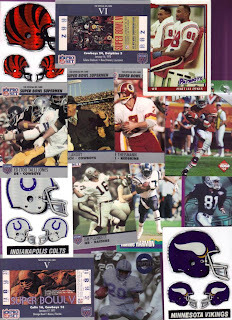 These scan represent a small portion of the cards she sent. Some of the names I knew, but most I did not. They will find their way into some football collector's home at some point, I'm sure of that!